A delegation from Sweden and alumni from SI's leadership program She entrepreneurs are currently participating in the major Entrepreneurship Conference of the RiseUp Summit in Cairo. RiseUp celebrates 5 years and is one of the largest entrepreneurship conferences in the MENA region with about 4000 participants. Together with alumni (from Lebanon, Marrocko, Egypt, Tunisia) a total of about 35 people are part of the group, making it the largest Swedish delegation so far. SI has collaborated with the embassy in Cairo and enabled both speakers and participants to take part. 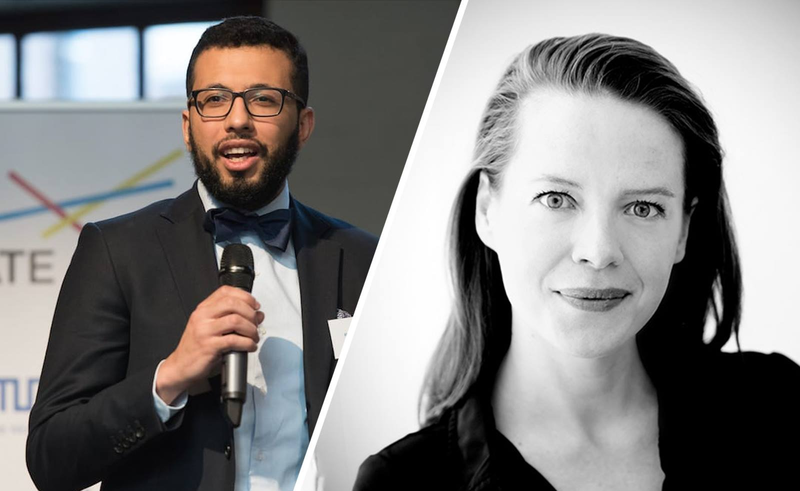 Among them are Aurore Belfrage– tech diplomat Omid Ekhlasi – Serendipity, Maral Khalajian – Watty, Richard Lindberg – One Planet Rating,, and Fiona Hazel and Emelie Ekblad from the MAD group. Themes discussed are all from how we can use future technologies, AI and block chains to other groundbreaking discussions between local and global tech companies and experts.